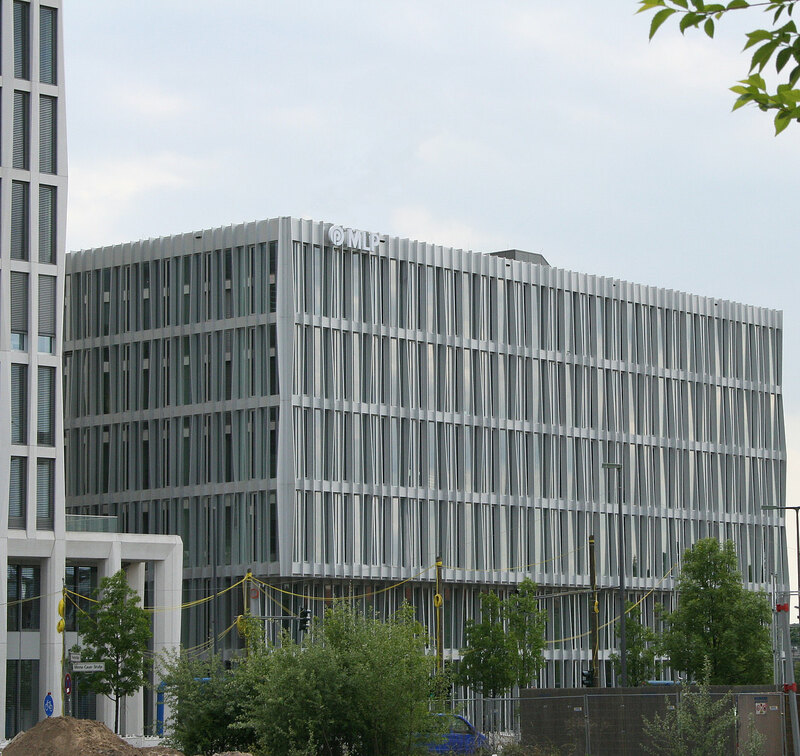 The Monnet 4 office building stands within Europacity, a CA Immo urban development project in Berlin, very close to the main station and adjacent to TOUR TOTAL, which was also built by CA Immo. Proximity to ministry buildings, companies and the cultural scene of the Hamburger Bahnhof area underpins the sense of working in a vibrant new centre for the city. With excellent train, car and bicycle links, the building is easily accessible. Tenants include the financial services business MLP and ADTRAN, an international firm active in the IT sector. The building owes its name to Jean Monnet, one of the fathers of European integration. In this new district of Berlin, the Monnet 4 office building symbolises the realised vision of an architect of Europe. The design for Monnet 4 in Europacity was produced by Berlin-based architects Barkow Leibinger. 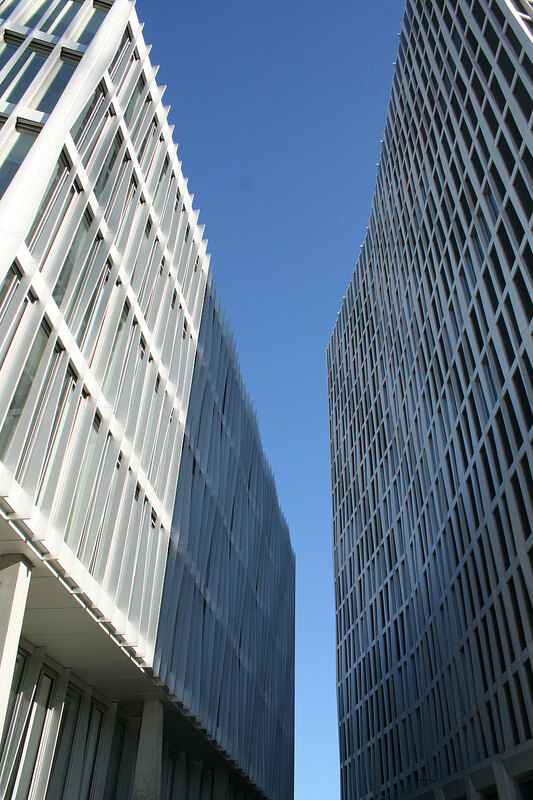 The draft took its cue from the architecture of the neighbouring TOUR TOTAL tower while asserting its distinctiveness in the materials chosen for the facade. In common with all new CA Immo buildings, Monnet 4 was realised as a green building in line with stringent sustainability criteria. It was constructed with a strong emphasis on energy and space efficiency as well as the quality of life and comfort level for users of the building; its primary energy consumption is well below current legal specifications. The roof garden, high quality acoustic panels in the ceilings, triple glazing to protect against sun and cold and windows that open to admit fresh air all serve to ensure a comfortable interior climate. There is a charging station for electric vehicles in the underground car park. The office building also has 50 bicycle spaces. Do you have any questions, or need more information on Monnet 4 in Berlin’s Europacity? Simply contact us!